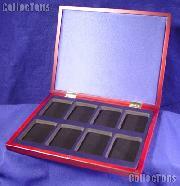 Display and Exhibition products consist of cases, trays and pads designed to display your collection both at home and on the road. 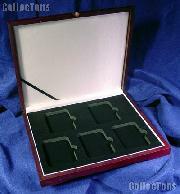 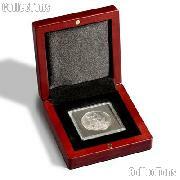 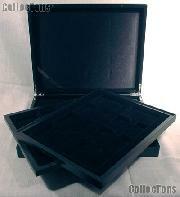 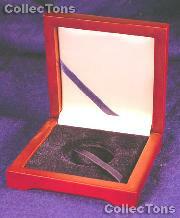 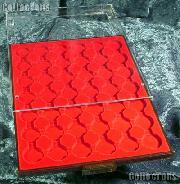 Showcase trays are available in black or red and are designed to hold 1.5x1.5", 2x2", or slab coin holders. 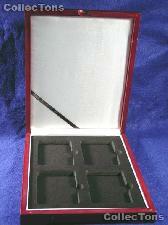 Showcase trays are flat and rectangular. 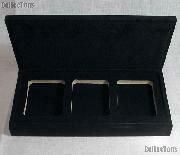 Showcase trays for 1.5x1.5" and 2x2" holders come in vertical and horizontal orientations and have a dimple in each slot, making it easy to extract the coin from the tray. 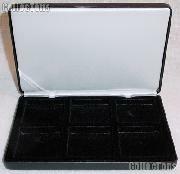 The slab trays have three tiers and are only available in a horizontal orientation. 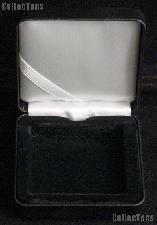 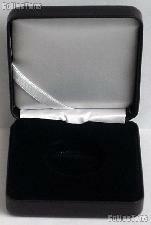 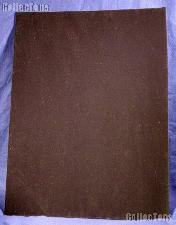 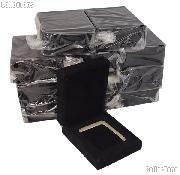 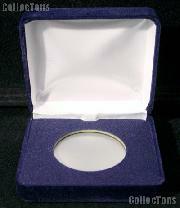 Jewelers pads are rectangular pads covered in black velvet with a rigid backing. 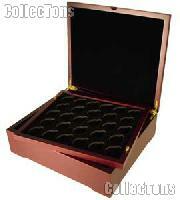 They are used to display pieces of jewelery and odd sized collectibles as well as for sorting and examination. 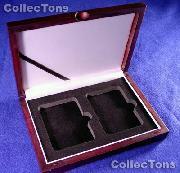 Four sizes are available: small (7.5x7"), medium (14x7.5"), large (16x10"), and extra large (24x18"). 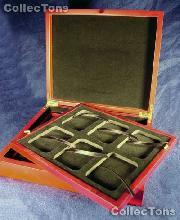 Lighthouse Coin Tray Systems provide several sizes of showcase style trays as well as locking transportation & storage cases. 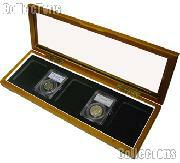 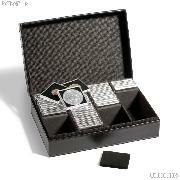 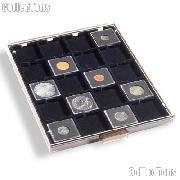 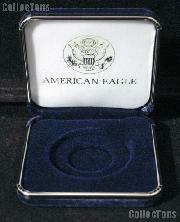 Simply pack your collection into the trays, place the trays into a locking aluminum case and head for the coin show! 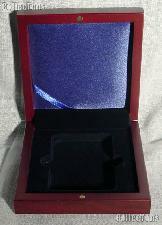 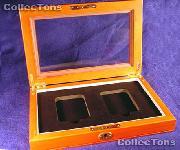 Lighthouse Presentation Coin Cases come with one to three coin trays and feature a mahogany wood grain finish, a lid fitted with blue satin padding, and velvety lining covering the coin tray. 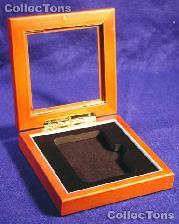 An embedded magnet keeps the case securely closed. 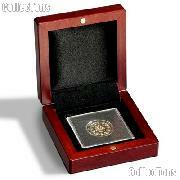 Ideal for proudly displaying your collectible coins.